Hairdreams Haarhandels GmbH in Graz is an international provider of professional hair lengthening and thickening methods. The product range contains hair extensions and hair thickening made from high-grade, hand-selected real hair, as well as special products for the stimulation of natural hair growth. Hairdreams is the leading international provider of professional hair lengthening and hair thickening, and the preferred partner of many high-profile hair stylists all over the world. 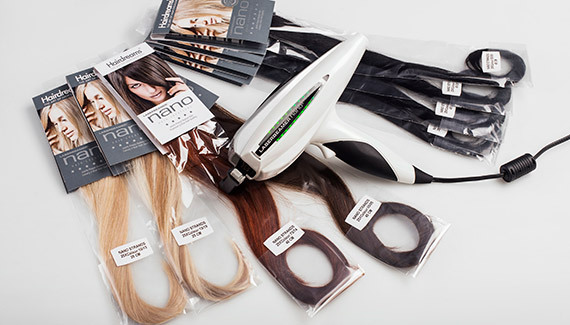 Hairdreams’ strong market position and outstanding reputation are based on its exceptional innovation and consistent focus on quality. The company continues to set new industry standards by regularly introducing new and often patented technologies for natural hair integration. In addition, Hairdreams goes above and beyond when it comes to the procurement and refinement of the raw hair used in its products. Only the healthiest hair with an origin of impeccable integrity will be used. With more and more people suffering from hair loss, Hairdreams has recently expanded its portfolio to include an innovative new anti-hair loss therapy. Scientific studies have certified the fact that this therapy is significantly more effective than conventional hair growth products currently sold in the market. The company carries the national crest for commercial establishments, in accordance with §68 GewO, since 2013. Nationally certified training organization, in accordance with §30a BAG, since 2015. With luxurious, premium real hair products, “Made in Austria“ and a great passion for the salon business, Hairdreams now holds a leading position in more than 50 countries worldwide. Our professional hair lengthening and hair thickening systems as well as our anti-hairloss system have an excellent reputation around the world. We are honored to be awarded with the Austrian national crest and proud to be contributors to the innovative strength and competitiveness of Austria as an international business hub. This award motivates us to continue to conquer more international markets in the future with equal dedication.